Bordeaux 6690 Door Cover – Silver: The Bordeaux 6690 Door Awning is an ideal solution to keeping your entrance clear of bad weather. With its large surface area, this awning can also be used to shelter your garden appliances and outdoor equipment such as bikes and barbeques, keeping them safe from rain and harmful UV rays. 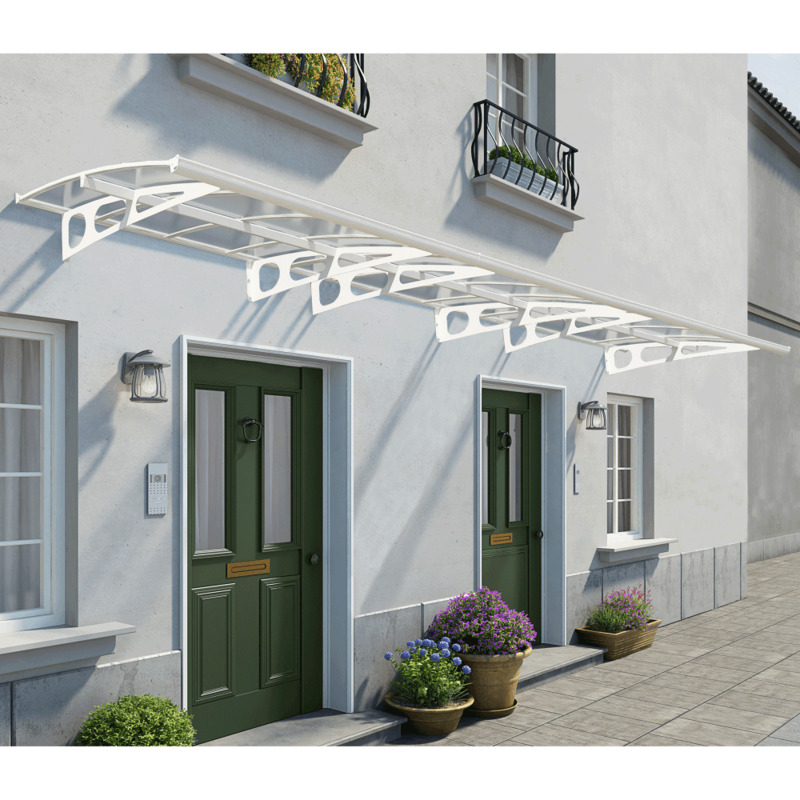 A contemporary design constructed using highly durable galvanised steel and aluminium components means this awning will provide you with many years of maintenance- free use. Virtually indestructible, polycarbonate panels block 100% of UV rays, preventing discolouration and keeps your cover looking good as new. Home assembly is made easy and stress free due to the fast locking assembly system. Comes with a 3 Year warranty as standard.